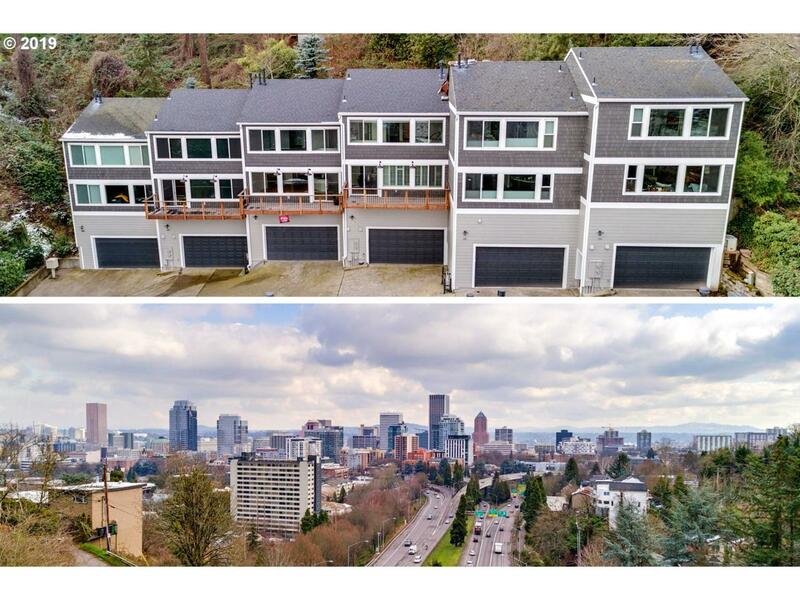 Contemporary condo with city and mountain views, located in the foothills of Goose Hollow! This 2 bed/2.5 bath boasts hardwood floors, gas fireplace, master suite w/walk-in closet, large attached two-car garage, and secure gated entry. New siding, roof, windows, and deck! Close to Max line, Street Car, bus, restaurants, shopping, theaters, museums, Alphabet District, PSU, and Providence Park. Easy freeway access to Nike, Intel or OHSU.